Exclusive breakfast buffet. Breakfast buffet fee € 9,00 p.p. Hof van Dalfsen is situated in Overijssel’s Vechtdal: a beautiful nature reserve with real treasures of natural beauty, tranquillity, space and many possibilities for cycling, walking, fishing and boating. You can also soak in nostalgia, history and culture in a wide variety of forms to your heart’s desire. With the adventurer’s arrangement, you can enjoy all of this! You will get a map on loan with extensive tourist information: a detailed cycling and hiking map of the environment, many cycling and walking routes, an alternating car route, information about museums, estates, gardens and other touristic attractions and a calendar with all activities that will take place in the region during your stay. Every day a three-course menu with a choice of main course in the cosy conservatory restaurant “Brasserie ’t Hof”. You will dine with us at the time that suits you best. If you wish, you can also dine à la carte (with supplement). 2 nights / 3 days incl. welcome drink, 2 x breakfast and 2 x dinner € 127,00 p.p. 3 nights / 4 days incl. welcome drink, 3 x breakfast and 3 x dinner € 189,00 p.p. 4 nights / 5 days incl. welcome drink, 4 x breakfast and 4 x dinner € 247,00 p.p. 5 nights / 6 days incl. welcome drink, 5 x breakfast and 5 x dinner € 299,00 p.p. Extension per night incl. breakfast and dinner € 55,00 p.p. 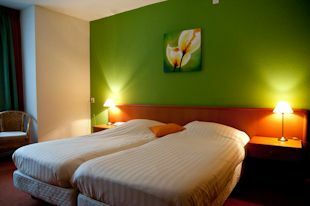 Supplement Standard Plus room € 7,00 p.k.p.n. 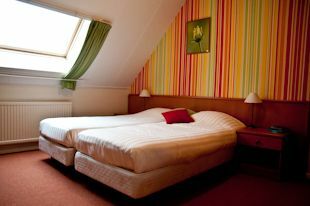 Supplement Single room €24,00 p.k.p.n. City tax € 1,00 p.p.p.n. Would you like to use one or more rooms for a longer period of time? Then contact us. You can cancel for free until noon 12:00 the day before arrival. 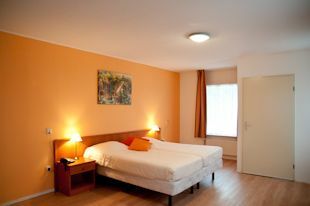 In case of cancellation after that time, we will charge 100% of the room price for the first night, excluding breakfast. No shows will be charged with the entire reservation fee. 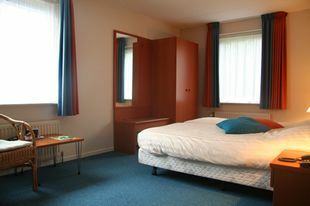 Groups: For bookings of more than 4 rooms, we use the Uniform Conditions of Hospitality. A copy of the UCH will be sent to you on request.